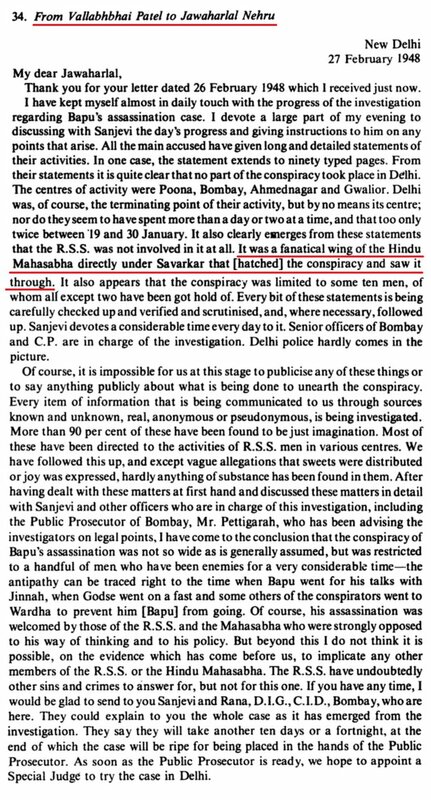 “It was a fanatical wing of the Hindu Mahasabha DIRECTLY under SAVARKAR that [hatched] the conspiracy and saw it through.” – Sardar Patel. 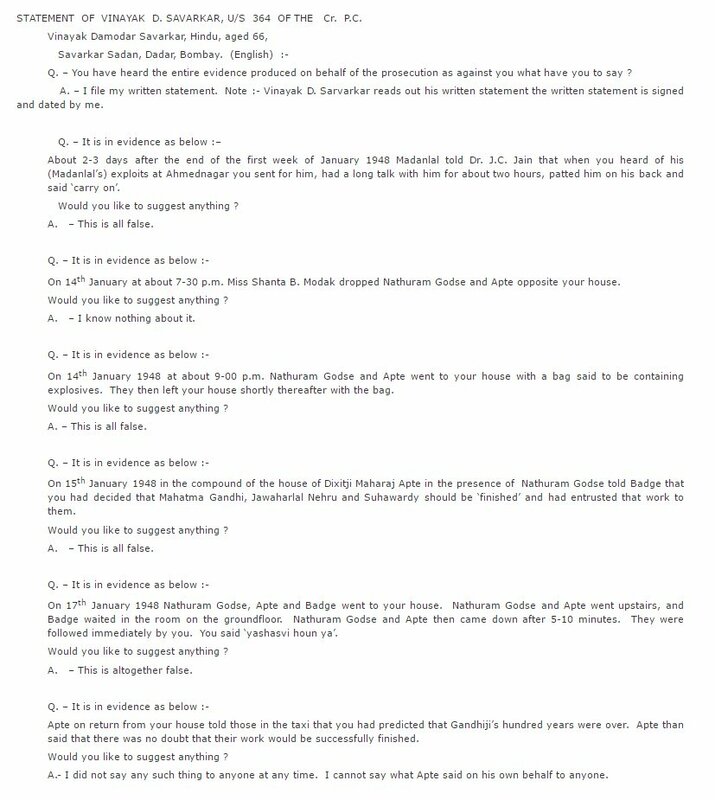 Court never called as witnesses Savarkar’s bodyguard & secretary who would have contradicted Savarkar’s testimony. In 1964, new evidence emerged in the form of Ketkar’s (Tarun Bharat Ed) admission that he knew of the conspiracy to murder Gandhi in 1947. 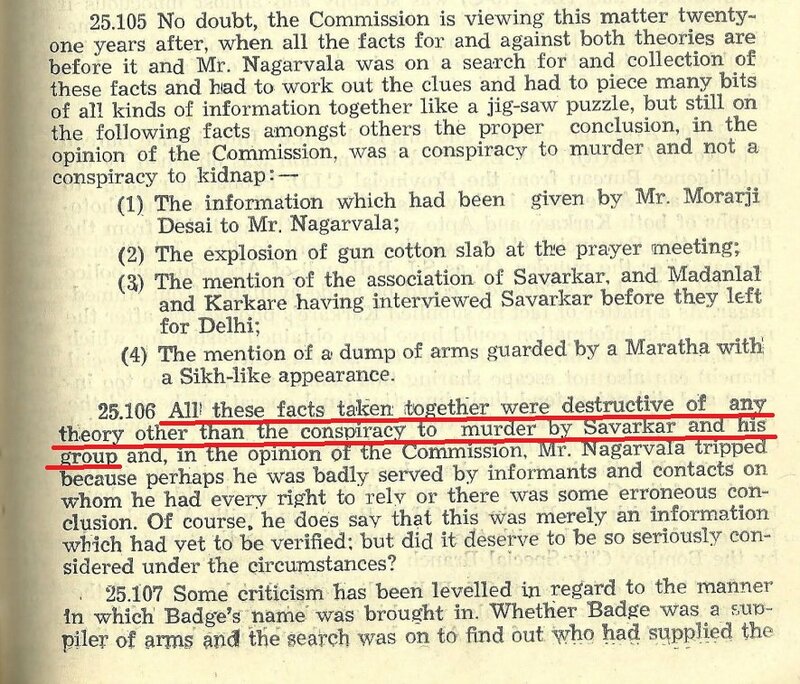 From the JL Kapur Commission Report, 1969, on the CONSPIRACY TO MURDER MAHATMA GANDHI. Conclusions of the JL Kapur Commission, 1969, on the CONSPIRACY TO MURDER MAHATMA GANDHI. 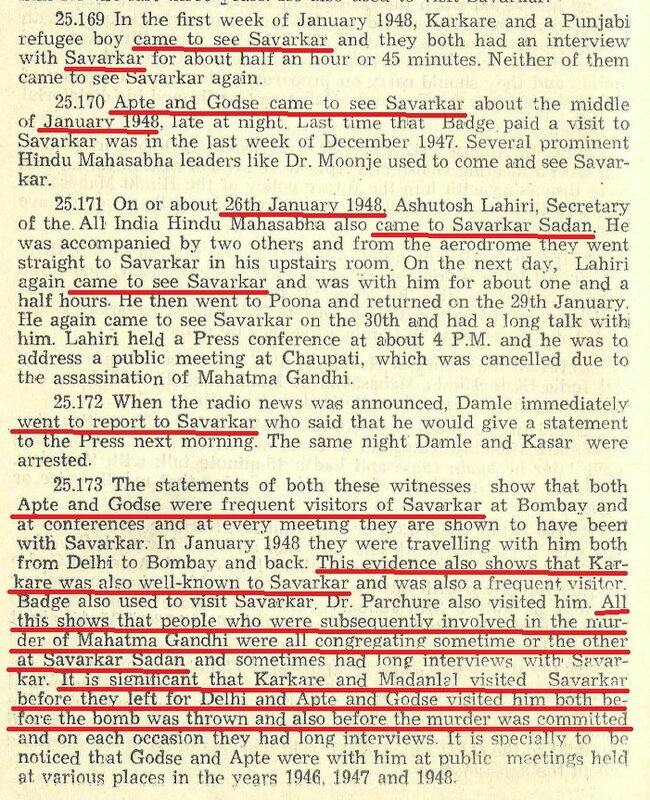 Two years after Commission to look afresh into the assassination of Gandhi was set up, Savarkar undertook fast unto death and died, in 1966. 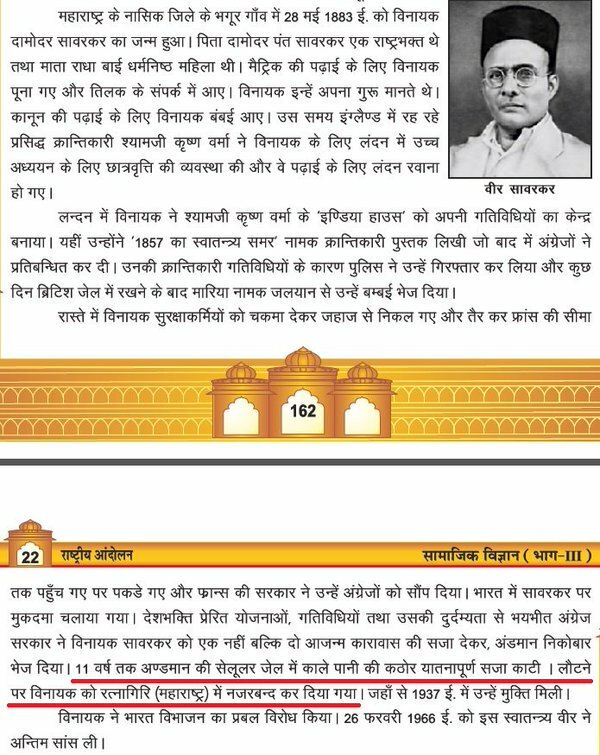 Savarkar in Rajasthan schoolbooks. No mention of mercy pleas; of what Patel thought of him; of 1969 Kapur Commission. AIRBRUSHING complete. 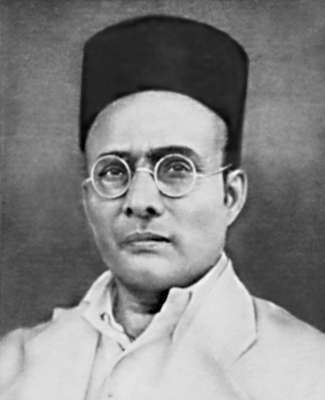 Hindu Pad Padshahi by Savarkar.